You open an eCommerce store and have great products to sell. Each of your product pages has impressive images and great content.The product page optimization is essential to enhance your online store. But, the problem is, you’re still not getting the expected conversion rate. Figures of your eCommerce are still not performing well. What’s the reason? Well, one of the primary reasons for not receiving an expected number of visitors and conversion rate on your store is under-performing product pages. Undoubtedly, the homepage of an online store plays a crucial role, but it is the product page ultimately helps make sales and conversion. A poorly optimized product page is the biggest contributor to the failure of an eCommerce store. With the importance of product pages in mind, we have compiled a descriptive list of eight proven optimization tactics for your product pages. Keep in mind these tactics when playing the eCommerce game. To design a highly-optimized eCommerce page that attracts conversions, start with incorporating the elements commonly used in successful product pages. If you check out the product page of ASOS as an example, you’ll find many unique elements that contribute to the success of the pages. These elements significantly influence their conversion rate. It’s surely because the company invests major resources on testing and optimizing these pages. You can judge the level of their attention to details by looking at the typical product page that loads very slowly. The order of how each element is placed on the product page also influences the page loading speed. Logo and Navigation: Your page visitors should know where they are. They should be able to navigate to other pages from the current product page easily and quickly. Product Thumbnails: Images indicate the visitors that they are on the right page. They can preview the page before and determine if it’s relevant or not before it gets fully loaded. Product title and breadcrumbs: Confirm the choice of the visitor and provide them with a quick option to navigate back to the similar product category. Main product image: Customers excitedly look for product images. These images load much before the call to action button. So make them effective, impressive and load fast. 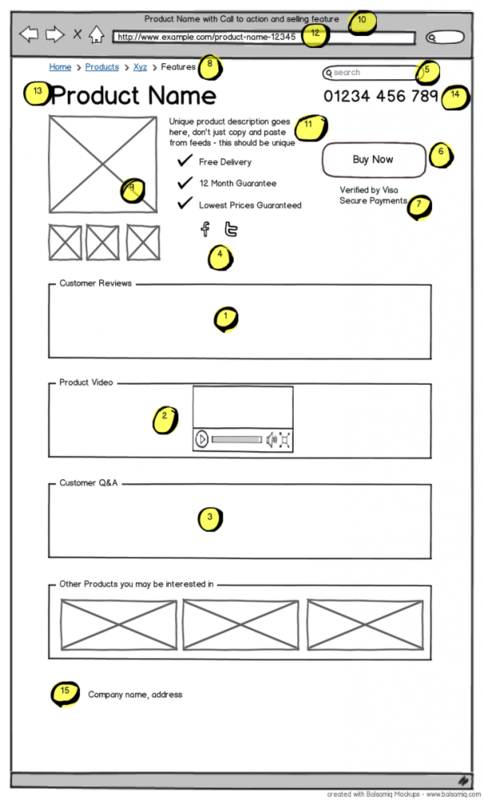 Extra information: Provide additional product information and place it below the fold to make loading fast. You own an awesome online storefront. You have amazing high-definition images and great products to offer. Then, why people are not adding products to the cart? It’s probably because of an unclear call to action. They don’t know where to click, or the caption for call to action button appears boring. If a customer loves your product and wants to buy it, give them a clearly visible option to add that product to the cart. If they like the product, but are not ready to buy it, give them an option to add the product to their wishlist. Create Urgency to Increase Conversion Rates: Shoppers are more inclined to seize a limited opportunity. According to ConversionXL case study, adding urgency to their eCommerce pages increased their conversion rate by 332%. Experiment with Different Colors: Choose the color for your CTA that best resonates with your store visitors as well as your brand. Use white space around the CTA to make it clear and visible. Avoid multiple colors and animations. Simple CTA Button: The CTA should appear as a button, not just text. Surround it with a small border. Use simple text like “buy now”, “add to cart” or “add to wishlist”. Place it “Above the Fold”: The fold of an eCommerce store is the point that comes after scrolling down. People pay more attention to the content above the fold. So, keeping your CTA above the fold is important. According to Statista, Amazon sale in 2017 was 177.87 billion dollars. This figure skyrocketed by 2012 and latest studies revealed that Amazon will account for over half of all eCommerce sales by 2021. Do you know the success mantra of Amazon? Simplicity, ease of use and IMAGES! Well, images are far more crucial for eCommerce success than ever before. Simply slapping a few days will not work. You’ve to think about your product image seriously and creatively. Capture Angles: Invest in an excellent tripod to capture the image from every angle. People want to check the product from every angle before buying it. So, put them at ease! 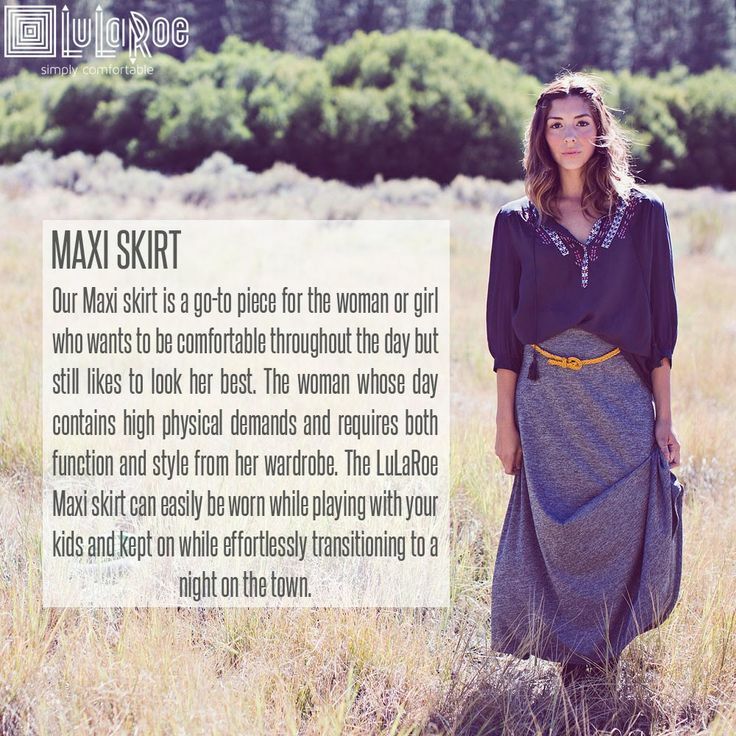 Perfect Lighting: Lighting is at the core of great eCommerce images. Natural light is pure sunlight with no lamp or electric source. It is very sharp and vibrant. Natural light is best to be used to showcase outdoor products. On the other hand, artificial light is usually tinted yellow, depending on the source of the light you’re using. Use artificial light to showcase particular products like wallets, bags and watches. It’s best used when you want to show great details of the product. Produce Clear Images Using A Sweep: Photography sweep refers to the process of creating a ramp using posterboard paper. It provides an effect of infinite white space behind your product. Image optimization is not just about reducing the file size of the images. It also means image SEO and getting your image rank well on image search engines. Use Descriptive Images Names: Replace default image name with a meaningful, keyword-rich file name. Which one seems great? Obviously, the second one! Optimize ALT Tags: Add keyword-rich ALT text for each image to help them rank better in Google and all other image search engines. Use plain language to describe your images. Avoid writing ALT text for decorative images and don’t stuff the ALT text with keywords. Perform a sanity check periodically and ensure that all ALT attributes for your product images are filled out properly. Reduce Image File Size: Page load time is an important ranking factor for Google. Over 50% of online shoppers wait not more than 3 seconds for a product page to load. So, imagine if your website takes more than 3 seconds to load? Don’t let the speed kill your sales. Reduce the file size of images to increase the loading speed of your product pages. Use image Sitemaps: Image sitemap lets search engine crawlers find and show unidentified images on your product page. Alternatively, submit the sitemap to Google with the help of the Search Console. Most of the time, product descriptions are either awful or non-existent. Well, product descriptions are an important part of the grand game of product page optimization. An eCommerce study conducting by NNgroup revealed that 20% of overall eCommerce failure rooted from the incomplete or unclear product descriptions. 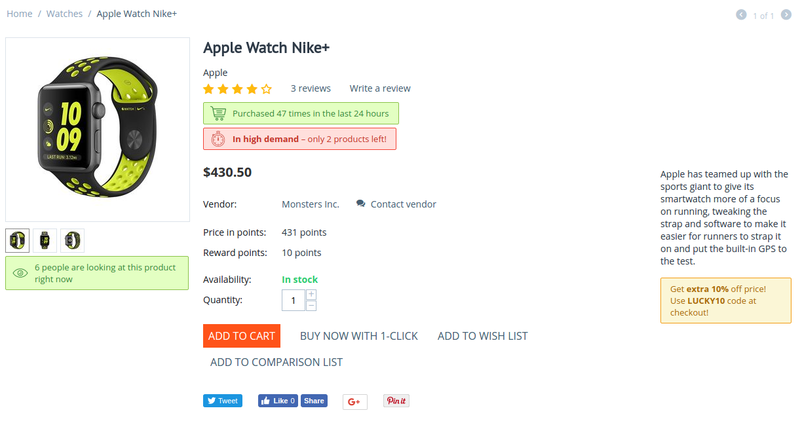 So, you can say that product descriptions are crucial for the success of eCommerce stores. Top of that, product descriptions are important from the SEO perspective too. How much content should you place on your product pages? As much as necessary! It should be long enough to cover all important things and short enough to be interesting. Stay to the point: Don’t include fluff to keep it longer. Avoid superfluous and irrelevant words. 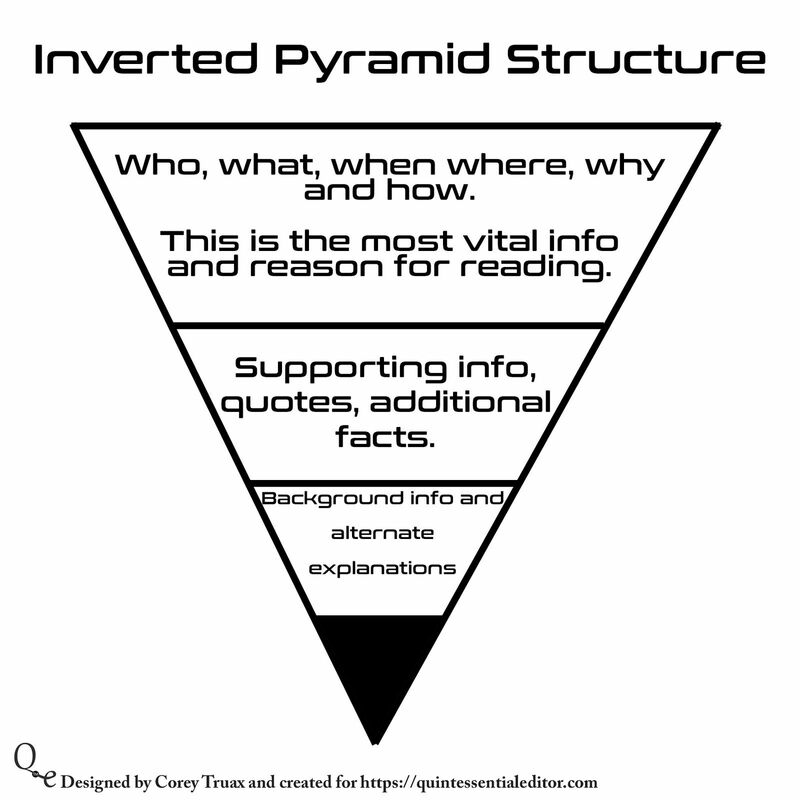 Write in inverted pyramid: Keep the important information on the top of your product pages. Use Active Language: Avoid vague superlatives and better use specific and descriptive words. Research backs this up. According to a 2001 study, descriptive menu labels at restaurants increased its sales by 27%. Short Sentences and Short Paragraphs: Write the content simply and straightforwardly. Use short words, short sentences and short paragraphs to make the product descriptions legible and clear. Get Copy from Customers: Give your customers or page visitors, some space to write their reviews. It will generate original content from the real products users which adds a great value to your product pages. Be Creative: Inject some fun and fantasy in your copy. Use the art of storytelling when penning down your product descriptions. Include Benefits and Features: Products’ benefits and features are what people are most concerned about. These are some of the few things that people first check on a product page. So, don’t forget to include features and benefits of your products above the fold. Social Proof refers to a psychological phenomenon, according to which people conform to others’ actions, assuming that those actions related to the correct behavior. Studies purport that 70% of online shoppers check the product’s reviews before purchasing it. Real-Time Stats: Showing on your page that how many people are buying this product forms social proof and also creates a sense of urgency. Customer Testimonial: Display customers’ testimonials in various formats to highlight the value of the product through the voices of satisfied and happy customers. Case Studies: Case studies are considered as the high authority social proof. Customers perceive case studies as long, detailed reviews and more reputable than brief excerpts. Media Mentions: Has your brand or product ever been mentioned by the media? Take excerpts from the media and paste them on your website or the relevant product page. Check out the example of Markhor, a prominent leather shoemaker. Trust Seals and Badges: Add security seals on your store, such as McAfee, Norton, etc. Also, add industry certifications and accreditation on your website. Some eCommerce stores have shown to boost their conversion rate by 30 percent by displaying certificates and badges on their website and product pages. 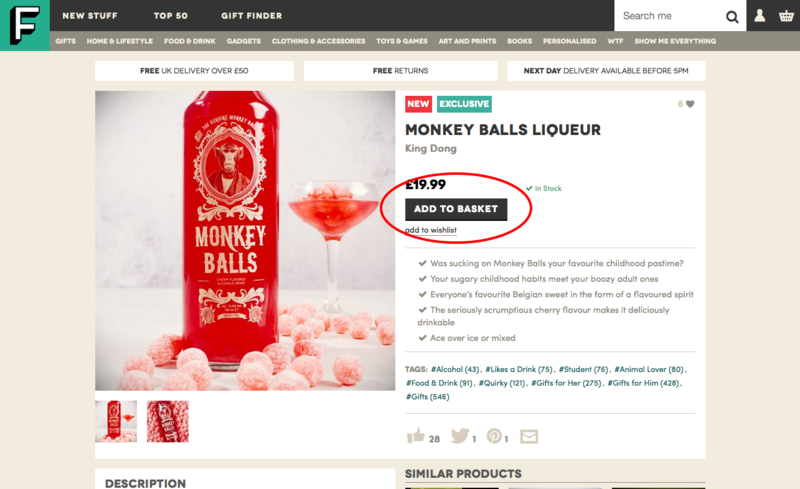 Choose any of the social proof for your store and track your conversion rate before and after to see the difference. Check the website of ASOS! They have a dedicated banner for free delivery and product returns. They display the caption “Free Worldwide Shipping” next to the purchase price of each product. These types of features significantly influence the purchasing decision of online shoppers. High shipping rates are the primary reason why people abandon carts. More than 93% of customers prefer to purchase more products with free shipping options. 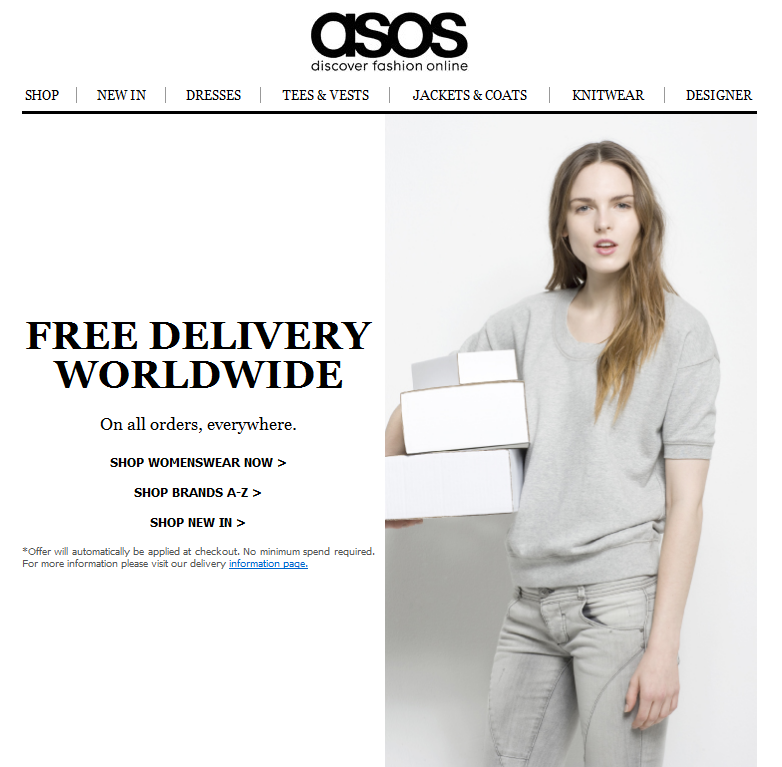 ASOS leverages this user behavior and offers and promotes free shipping for all their products. If you can’t offer free shipping, be upfront about it! 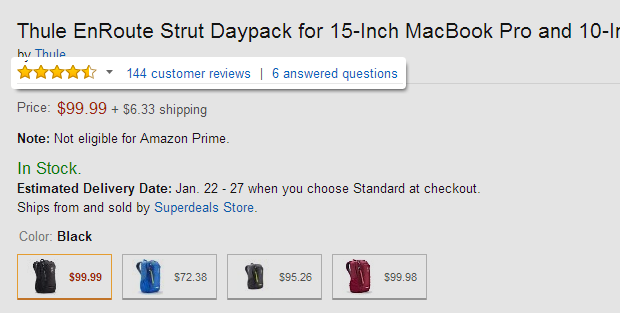 The best way to mention the shipping cost for your products is to make it clear on the product page. 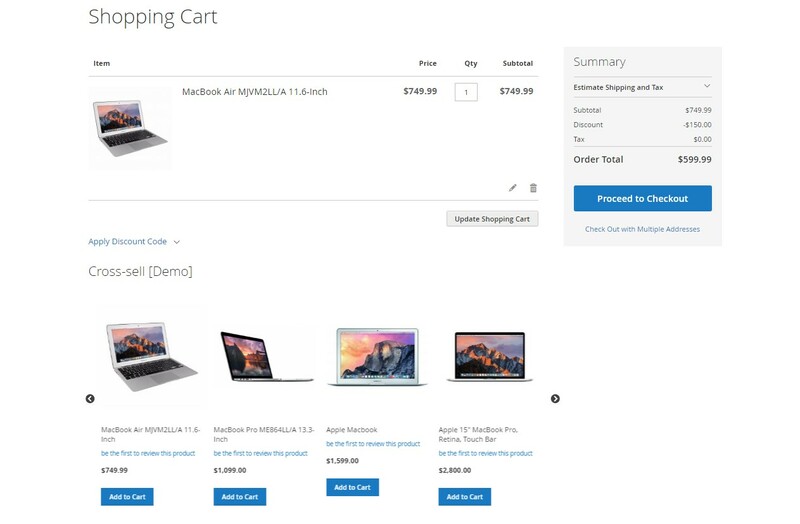 Your online store visitors should be able to know the shipping charges for their order before they add the product to your cart. Showing relevant products that might interest your visitors offers a personalized experience to your store visitors. On every product page, recommend highly relevant products to your customers at different points during their shopping journey. It will make them feel that your store understands their requirements very well. In this way, they will feel more connected, and you will enjoy natural boosted conversion rate and high order values. Personalized product recommendations are based on user behavior. These items are frequently reviewed or purchased with the item the customer is currently considering to buy. You’ve probably noticed product recommendations on Amazon or other eCommerce stores. Related product recommendations appear just below each product description. These tactics are known as cross-selling and up-selling. Both are two hottest trends in the eCommerce landscape. People are already inside the purchase funnel. Why not benefit from it? Cross-selling invites people to buy complementary or related items. Upselling involves encouraging people to buy a comparable better product than the one the customer may be considering. Both cross-selling and up-selling are used interchangeably. However, each of these tactics offers different benefits that you enjoy by using them properly. It will help provide the maximum value to your customers and help increase your revenues. Check out the following example: It shows how Book Depository does cross-selling and up-selling. The website provides more recommendations depending on the past purchases. It also makes recommendations depending on what other items people, who bought the same product, are buying. Using this features provides customers with opportunities to find more items they might be interested in. Getting lackluster conversion rate from your eCommerce store? Take a serious look at your product pages and follow the tactics mentioned above to boost your conversion rates drastically. It will also help you deliver a well-rounded shopping experience to your customers and store visitors. Launch-ecommerce ecommerce page conversion, Landing page optimization, page conversion, product page optimization, website conversion rate. permalink. How to: Select Social Media Marketing Platform that is Right for You! I am usually to blogging and i actually appreciate your content. The article has actually peaks my interest. I’m going to bookmark your web site and keep checking for new information. Hi, this post is full of great information related to web development. Looking forward to read more posts like this. Keep on doing this!